As part of a Graded Motor Imagery program, the NOI Mirror Box Triangle offers pain relief and improved limb movement for the hands and feet. Non-returnable. For clinical use or as an in-home tool, the NOI Mirror Box Triangle is designed to treat pain and disability in the hands or feet. It’s used for complex regional pain syndrome, phantom limb pain, stroke and focal dystonia. It’s also helpful with very common issues like arthritis in the thumb and carpal tunnel syndrome. Mirror therapy works to exercise the brain synapses and is an integral part of Graded Motor Imagery. By placing the impaired hand behind the mirror and placing the healthy hand in front of the mirror, one can trick their brain into believing the reflection of the healthy hand is actually the impaired hand. 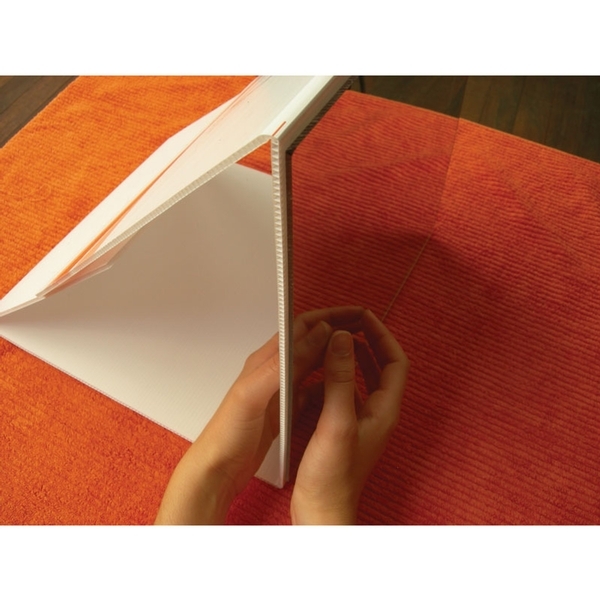 The user can then exercise the impaired hand, in the brain, by performing movements with the healthy hand. The NOI Mirror Box is advised for use under clinical guidance, only. Use it within the guidelines of the GMI process as explained in The Graded Motor Imagery Handbook by Dr. David Butler, Dr. G. Lorimer Moseley, Timothy Beames and Thomas Giles. 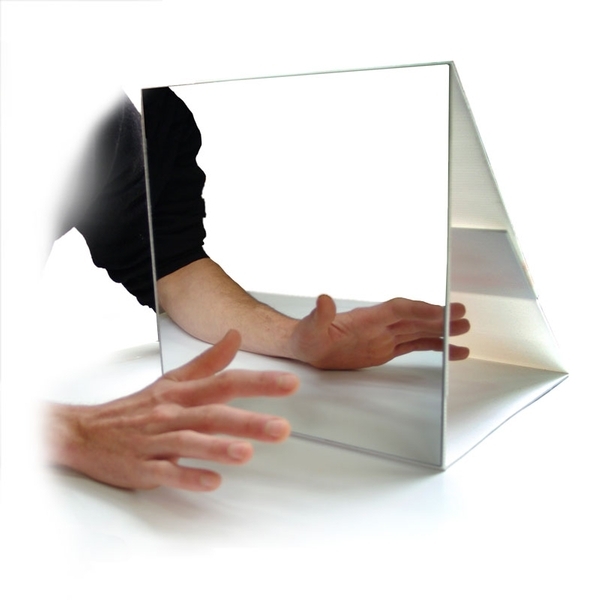 The NOI Mirror Box is collapsible, for easy transport, and measures 11¾” W x 11” D x 12½” H.
Here's a video of Dr. David Butler explaining Mirror Box Therapy.